Truly, it is the year of the Easter egg, where no stone can go unturned, no piece of promotional material can escape thorough examination. The new IMAX poster for Avengers: Infinity War looks like your regular movie poster featuring 8 billion characters, but don’t be fooled: there are Easter eggs here too. Avengers: Infinity War is the first feature film ever to be shot entirely with IMAX cameras, so Marvel is really playing up getting the full IMAX experience when audiences go see it. They released a video a few months back, with the cast and directors of the MCU talking about how rad IMAX is, and it is fitting that such larger-than-life characters will be seen on screens that are multiple stories tall. 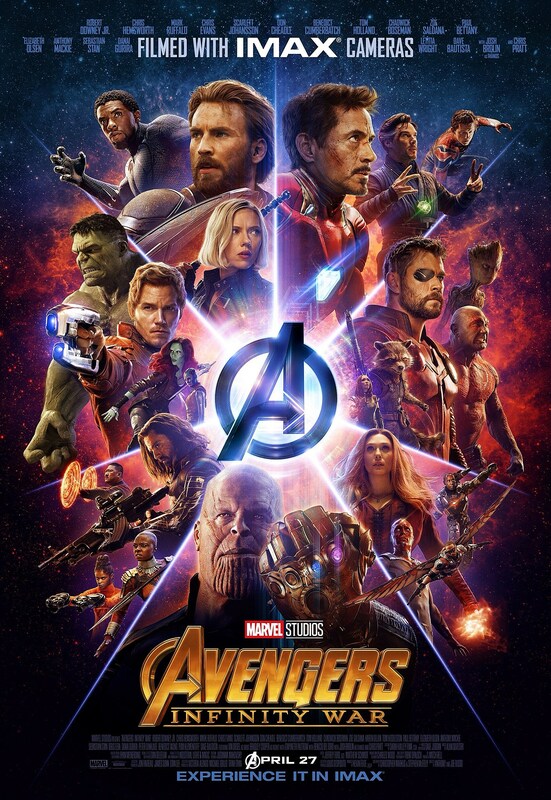 The new IMAX poster features every hero (minus Hawkeye) situated in a ring and facing different directions while Thanos does some fist pumping in the foreground. But if you look closer – no, like, really close — you might be able to find four more IMAX logos, besides the one in bold at the top. Open that in a new tab if you want to enhance the image. Picture the word “IMAX” as it would be scrawled by a child, and look closely at all that orange cosmic dust to see if you can find them, as one fan on Reddit already has. Even outer space wants us to see this movie on the biggest screen possible. Maybe “H-A-W-K-E-Y-E” is spelled out somewhere in the stars. Avengers: Infinity War opens in theaters April 27.